Apple's new Shortcuts automation app has to be downloaded separately from iOS 12. The full version of iOS 12 is now available for everyone. 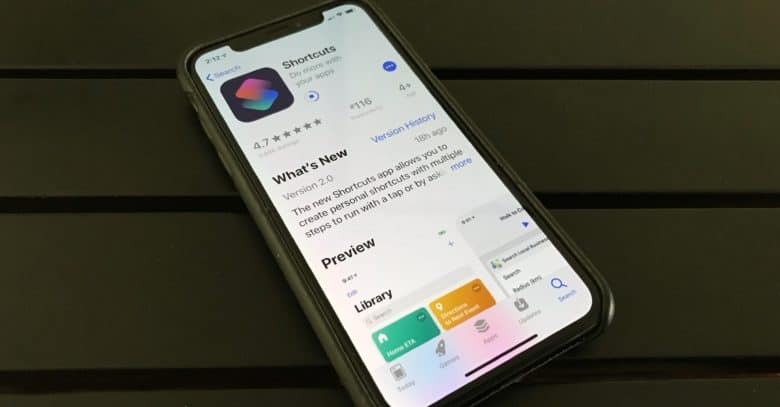 One of its cool new features is Siri Shortcuts, but those who want to automate functions on their iPhone also need to download a separate application from the App Store. The new utility lets people create scripts that collect several actions together, then launch them with a voice command. The idea is to let you automate actions that you perform regularly. At the end of your workday, suppose you always text your spouse that you’re leaving the office and then start a playlist of driving music. You can create a Shortcut that does both of those actions when you say “Hey Siri, I’m leaving the office.” Or you can use it to quickly send vacation photos to your entire family. The automation app offers over 300 built in actions and works with many iOS apps including Contacts, Calendar, Maps, Music, Photos, Camera, Reminders, Safari, and Health. Naturally, it can control your HomeKit devices. If this sounds a bit familiar, this software is an updated version of Workflow which has been available from Apple for some time. And if you already started using that app, your workflows are still available in the replacement. To learn much more, don’t miss our getting-started guide: How to use Apple’s new Shortcuts app. Shortcuts debuted along with iOS 12, but the two aren’t bundled together. They have to be downloaded separately. To get the new app, grab it from the App Store now. It’s free.